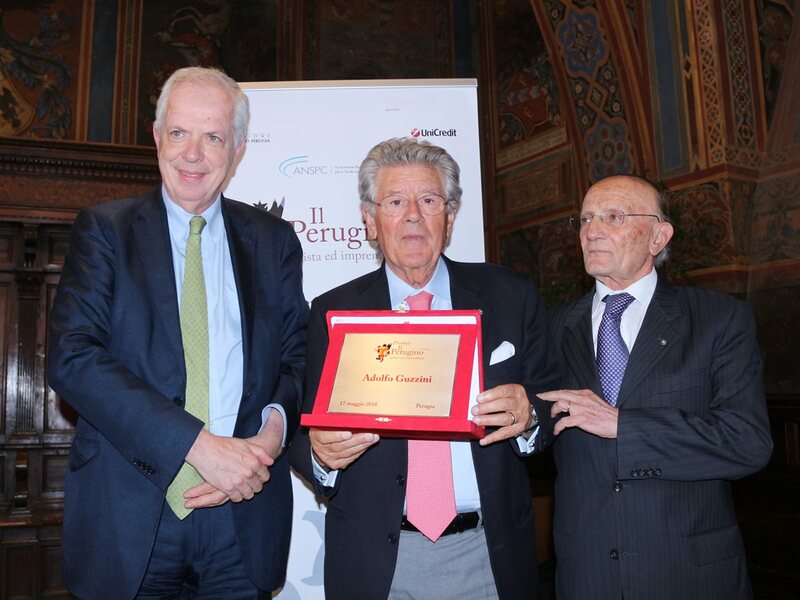 Adolfo Guzzini, iGuzzini illuminazione President, has won the "Il Perugino, artist and entrepreneur" award for his economic and social contributions to the country of Italy and for distinguishing himself through impressive creativity and entrepreneurial skills. Adolfo Guzzini has created and developed a company which is now an international leader in the field of architectural lighting thanks to the continuous dialogue between design and business culture. The award was handed to Adolfo Guzzini by Marcello Messori, Professor of Economics at Luiss, in the presence of Pietro Pellicanò, the Anspc Ercole President, during the Award Ceremony held this morning at Palazzo dei Priori, in Perugia. "We are proud to have received this prestigious award that reconfirms our commitment to the culture of light, a vital tool for social innovation" commented Adolfo Guzzini, the iGuzzini illuminazione President. "iGuzzini’s growth has always been based on innovation, research, culture, and design and it stems from enhancing people’s wellbeing through light ". The initiative is promoted by the National Association for the Study of Credit Problems (Anspc). Founded in 1964, Anspc is a meeting point for cultural and manufacturing leaders, both public and private, driven by the sole goal of promoting healthy and balanced development.